Por el contrario, Mario trabaja en una compania que no tiene RHM habilitado, y es redirigido a la ubicacion default del tenant de la compania, en este caso en Norte America (Mario puede estar en cualquier otro lado, menos en Norte America) El performance de red y la calidad de los meeting es muy diferente a lo que Alice experimenta. Elegir donde estaran localizados tus usuarios en la nube de Microsoft. Los usuario solo necesitan conectarse a la nube de Microsoft localmente, una vez conectados, la nube de Microsoft optimizara la media para las reuniones en diferentes regiones. Incrementara el desempeno de las comunicaciones, dado que los usuarios no tendran que conectarse al tenant de la compania que se cuenta en otra region, sino, localmente. El desempeno de la red y comunicacion sera incrementado notoriamente. Conectividad a los servicios regionales. Las Reuniones son hospedadas en la region geografica del organizador. En adicion al performance de conferencia, otras trareas como logging y busqueda, tambien son incrementadas. Para entender los benificios de red y consideracines de RHM, hay que asumir lo siguiente. Contoso Corporation tiene sus oficinas centrales en Los Angeles, pero tiene multiples regiones incluyendo Sydney, Australia. Contoso adquirio los servicios de Office 365 utilizando la direccion de facturacion de las oficinas en Los Angeles. Como su direccion de facturacion es en USA, su tenant sera hospedado en Norte America. Alice es un usuario de SfB Online en la oficina de Sydney, actualente, ella se conecta a Norte America para las reuniones, lo cual agrega saltos adicionales y latencia a su conexion. El siguiente diagrama muestra como se conecta Alice con y sin RHM habilitado. Con RHM, puedes definir la ubicacion preferida para Alice. Su cuenta sera hospedada en Skype for Business en su region, y sus reuniones tambien seran hospedadas en el data center local (Sydney) – asi que los saltos adicionales y la latencia sera reducida considerablemente, y su desempeno de red sera incrementado. Hay excepciones, por su puesto. Para determinar cuando puedes tomar ventaja de RHM hay que identificar y tener en cuenta como es que la organizacion rutea el trafico a Interet. El ejemplo anterior asume que la oficina en Syndey tiene una conexion a Internet que puede ir al Data center de Australia directamente. Si es asi, Alice puede ser asignada al data center de Australia. Algunas companias, sin embargo, quieren tener el control del acceso de Internet. Por ejemplo, Contoso tiene una arquitectura con un solo punto de salida a Internet via las oficinas principales en los Angeles, eso significa que Alice, el usuario en Sydney, es redirigida a Los Angeles antes de que sea ruteada a los Data Centers. Esto es llamado punto simple de saluda a internet, y es una arquitectura en muchas companias. 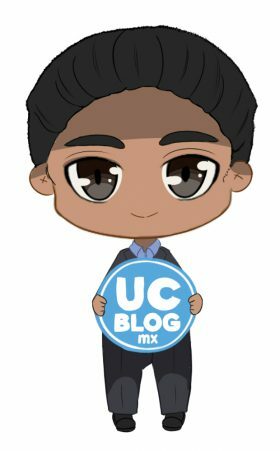 Para que RHM trabaje de forma efectiva, la oficina local necesita usar una conexion a Internet local e ir directamente a los DataCenter de la region. De otra forma seran dirigidos a la oficina central para salir a internet y nuevamente dirigidos al datacenter local. Entender los requerimientos y consideraciones de red es critico para configuracion RHM efectivamente. PSTN Conferencing esta soportado con RHM. Cada region provee su propio bridge de conferencia a donde sea que la compania se haya expandido. Los usuarios en otras region utilizaran el bridge de conferencia que geograficamente corresponda a una de las regiones (Norte America,Asia Pacifico y Europa, Este Medio, y Africa) por ejemplo usuarios de Australia utilizan el bridge de Asia Pacifico. Cuando un usuario es movido de una region a otra, automaticamente se le asignara el bridge de conferencia que corresponda a su nueva region. ademas que sus reuniones seran actualizadas automaticamente por el MMS. Today let’s talk about RHM and its benefits. With regionally hosted meetings, you can take advantage of Microsoft Office 365 data centers located all over the world, and you can choose where your users are located in the Microsoft cloud. Your users log in to local data centers and therefore benefit from regional performance for meetings within the cloud. For example, the following diagram compares users at two different companies, one of which has implemented regionally hosted meetings. Alice—in Sydney, Australia—has a preferred data location of Australia. Because she is physically homed in the same geographical region as the data and services she accesses in the Australia data centers, she can take full advantage of the numerous benefits that regionally hosted meetings provide, including improved network performance. For example, Mario works for a company that needs to control access to the Internet. Thus, he is routed to the default tenant location for his organization, which is in North America. Choosing where your users are located in the Microsoft cloud. Your users only need to connect to the Microsoft cloud locally. Once they connect, the Microsoft cloud connects, optimizes, and protects media from across regions and makes it available to your users. Improved communications performance. Because local users no longer have to host meetings out of a tenant hosted in a far-off region, networking performance is greatly improved. Connectivity to regional services. Meetings are hosted within the organizer’s geographic region. In addition to conferencing performance, other tasks, such as logging and searching, are also improved. Support for regulatory entities (for example, the European Union) that require data generated by a user within a region to remain in the region. With Skype for Business Online, this typically applies to uploading meeting content. Note that you can have Office 365 users in China and Germany (outside of 21Vianet and T-systems)—you would map them to the Asia Pacific and Europe regions, respectively. Contoso Corporation is headquartered in Los Angeles but has offices in multiple regions, including Sydney, Australia. Contoso has purchased Office 365 services using the billing address of their headquarters in Los Angeles. Because the billing address is in the USA, their tenant will be hosted in North America. Alice is a Skype for Business Online user in the Sydney office. Currently, she logs into North America for meetings, which adds additional hops and potential latency to her connection. With regionally hosted meetings, you can define Alice’s preferred data location as Australia. Her account will be hosted in Skype for Business services in her local region, and her meetings will be hosted in a local data center—so network hops and latency are greatly reduced, and her networking performance is improved. There are exceptions, however. So, to determine whether you can take advantage of regionally hosted meetings, you need to be aware of how your organization routes network traffic to the Internet. For example, the scenario above assumes that the local branch in Sydney has an outbound connection to the Internet that can go directly to the Australia data center. If so, Alice benefits from being moved to the Australia data centers. Some companies, however, want to control access to the Internet. For example, assume Contoso has architected a single point of outbound Internet access via their headquarters location in Los Angeles. This means that Alice, your user in Sydney, is routed to Los Angeles before she is routed to the data centers. This is called a single point of Internet egress, and it is a traditional architecture in many companies. For regionally hosted meetings to work effectively, the local branch office needs to use a local network connection to the Internet and go directly to the Australia data center. Otherwise, Alice would be routed from Sydney to Los Angeles and back to Sydney, as shown in the following diagram. If your company requires a single point for routing outbound traffic to the Internet, users should remain hosted in the data center that is closest to the Internet egress point. Understanding network requirements and considerations is critical for setting up effective regionally hosted meetings. PSTN conferencing is supported with regionally hosted meetings by providing a PSTN conferencing bridge for each major region (North America, Asia Pacific and Europe, Middle East, and Africa) to which your organization has expanded. Users in any other region will use the PSTN conferencing bridge that geographically corresponds to any of the major regions; for example, a user in Australia will use the PSTN conferencing bridge of Asia Pacific. When users are moved from one region to another, they are automatically assigned to the PSTN conferencing bridge that corresponds to their new region. (A user can only be assigned to the PSTN conferencing bridge that corresponds to their region.) Additionally, their meetings will be automatically updated during their move by the meeting migration service, and they will be notified via email of their new PSTN conferencing information. If you’ve acquired additional dedicated phone numbers for the original PSTN conferencing bridge of your organization, and you want users assigned to the PSTN conferencing bridge of a new region to have phone numbers from the same locations, you’ll need to acquire new numbers from those locations and assign them to the PSTN conferencing bridge of the new region.